^IMHO you’re dead wrong. Charles loves Camilla. It’s natural he’d spoil her and natural Harry will spoil Murky. Husbands tend to spoil wives. I just think Harry is trying too hard to impress Murks because he’s realized all that matters to her is material. It's not a matter of right or wrong. I could be right.It is opinion and only they know how they feel. I think that it is telling that she spends time at Raymill away from him. Charles "spoiled" Camilla when both were married to others. It was very telling that he did not marry her when he first met her. He told his biographer he was not ready to marry her when he met her. And I doubt would have chosen her to have his legitimate heirs. That does not scream great love to me. The Duke of Windsor did not try to have his cake and eat it too like Charles did. He even wrote in his biography that he would not marry the "suitable person" to have his heirs because he knew he could not be faithful to her. Charles OTOH got to marry the mistress and keep his place in line of succession. Harry did not bring baggage into his marriage and did not have someone on the side he preferred to his bride. If it had not been for Charles marrying Camilla, I doubt Harry and Meghan would have been able to marry. The bar was lowered. I think Meg is enjoying the high fashion labels, but I believe that she dislikes the criticism. Perhaps she thought that like Diana she would be admired despite her expensive tastes. The clothes could be better for all that money. The drab colors or one thing are not flattering to her. No wonder she doesn't have grey hair ..
Meghan’s name should be added to this list. Stars from Rosie Huntington-Whiteley to Millie Mackintosh have been plugging products to their fans... without saying they’d been paid to do it. Now as they’re officially named and shamed, we reveal how you've been ad! It’s goo that this is being done. The younger generation that these women appeal to are being blatantly exploited; thinking that it’ll be cool to have the perfect life that they have and they’ll get it by buying everything that they put on social media and follow their sites and like their posts. ^ Wasn't Narky besties with both of these fakelebs and self-proclaimed influencers with bought instafollowers, procured by their PR company. Didn't you, windsor, dig up that these two, Narky, Serena and Anna Wintour share the same PR agency? ^makes sense since that's the only way I see Anna even mentioning that mess of a fashionita, Meghan. She's merchandising the restaurant here she had the lunch date with her press chap. Her merchandising partner in crime, plastic Jessica is in London according to her iG. I can't imagine that the IRS isn't watching what these two have been up to. her plastic stylist frien/partner in crime, Jessica's, in London. Lot's of funny stuff when you scrll down. Her choice of Vogue covers are quite funny. sorry mods, this pertains to Jessica in London. Her obvious merchandising's now front and centre. Narc's like Mghan and Jessica get so brazen that they end ruining their own selves. Jessica showing up in London and posting selfies and make it known she's in London seems to me that she and Meghan feel confident that nothing will happen to their business partnership and vapid friendship as Harry's backing everything that Meghan does. To me it's an obvious trap that both have walked into and won' get out without being ruined. 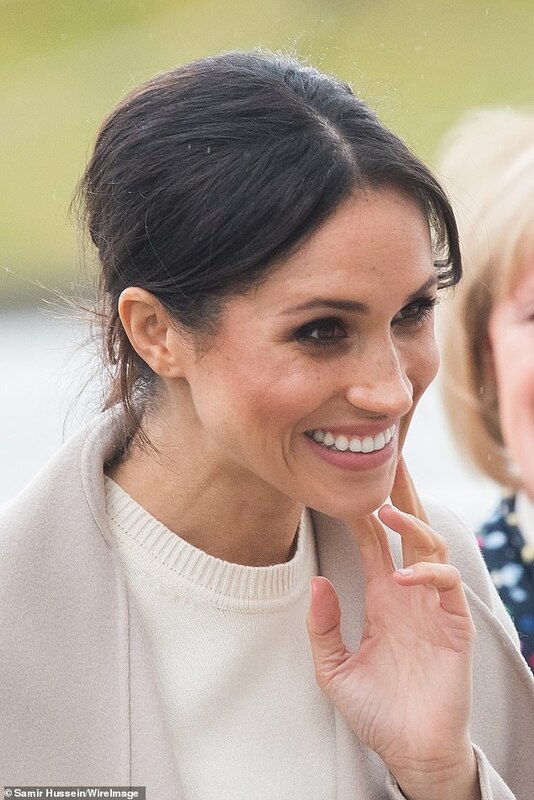 The fashion stylist, who met former actress Meghan, 37, on the set of Suits, is believed to have flown in to give the royal style advice on previous occasions but usually keeps her visits low-key. Posing in the bathroom of the plush Park Chinois Chinese restaurant in Mayfair, Jessica wore a tailored black jacket, from Soia & Kyo - a label Meghan's also been spotted in. She's typically stuck to American and Canadian brands for her royal wardrobe, rather than championing British labels. Merching, merching, merching all the way! Yawn... we have seen the pictures before. It is the same dress with a huge stain on. Disgusting.. if you say it was an add for the Bunny Ranch, I would believe that right away.. They have both profited from their close "bond" - merchandising. I knew she was borrowing. 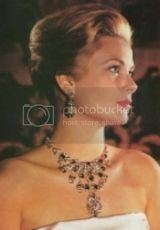 We see she is borrowing with jewelry, and we can be sure with clothing as well. Man, is she really hammering her own coffin. Absolutely no respect for the traditions of the RF and she wonders why there is so much criticism towards her. This is what Meghan meant when she said she wanted to modernize the RF. She wants to turn it into glitzy, tacky display of celebrityhood. Everything she does is aimed at self-promotion as well as feeding her desire for attention and status. All of her actions, past and present, show us for who she really is, and it's not a pretty picture. Only Harry and RF are too dim to see through Meghan's transparency. she really can¿t differentiate between Hollywood and Royalty, can she? Borrowing jewellery from a shop, how tacky. A member of the Royal Family has an extraordinary amount of jewels at their disposal, none of them should ever borrow jewellery from any one except the Queens collection. This is crass celebrity and has no place in the British Royal Family. They look like something you'd see in Claire's Accessories but then more is perfect for her because she seems to want to flaunt her unearned excesses in the hard up UK. She's like a kid in a sweet shop and it's vulgar, borrowed or not. Greasy face and streaky bronzer once again! Royals don't get paste jewelry. The DM wants to get clickbait. Diana wore paste jewelry. And many others have had loans. However, unlike a lot of people, royals have jewelry worth megabucks in addition to the paste. To sum it up royals have untold wealth. 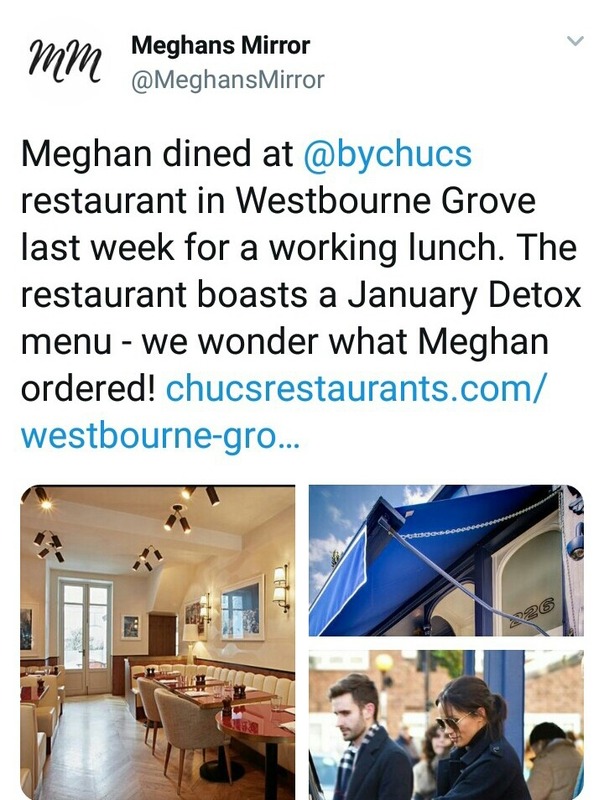 ONly Meghan's and sometimes Kate's alleged "costs" of their possessions are given. ^You’ve lost me. What has this to do with Sparkles wearing costume jewelry? Jackie, Grace and Liz all wore it, too. No biggie. Some of theirs was quite beautiful and iconic, however. Not the trinkety kind.